Scientists at the Karlsruhe Institute of Technology and Bayer have developed a seismic wallpaper that can hold up building walls during earthquakes. 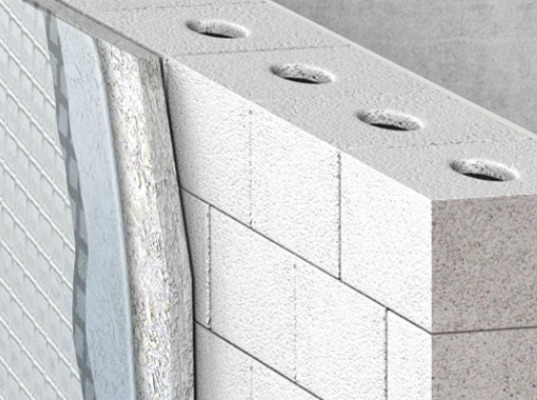 The system, called EQ-Top, is a glass fiber fabric that can help keep mason walls stable. After two years of research and testing, the patented product, which could help keep office buildings and apartments safer during an earthquake, will soon be available for purchase. For many years researchers at the Karlsruhe Institute of Technology (KIT) simulated earthquake scenarios in the quest to find a better way to support buildings in the event of such a disaster. At first they tried using materials with a carbon fiber base, but those created even worse damage after testing. By 2010, the university team began to experiment with glass fibers. These strong and stiff glass fibers are interwoven to create durable and elastic panels. The fibers crisscross in various directions, so they are both strong and pliable, allowing the covering to distribute energy evenly when the walls shake during an earthquake. Standard wallpaper glue is not enough to keep walls standing in the event of seismic activity, however. 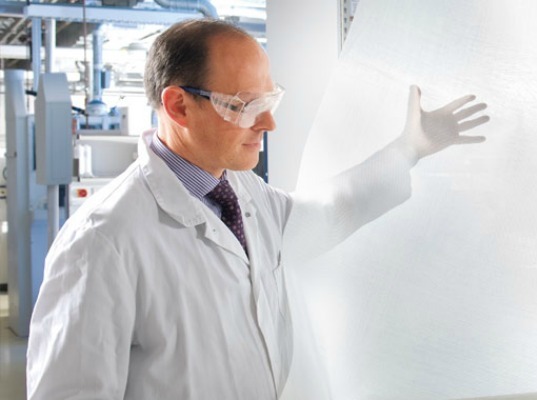 KIT therefore began working with Bayer’s MaterialScience division to enhance the product. The result was a flexible yet soft adhesive that contains water and polyurethane beads. The adhesive forms to the grooves in a wall’s masonry, and as the water evaporates it boosts the wallpaper’s strength. The fabric was put to the test in a model home in an earthquake simulator, and thanks to the seismic wallpaper the building still stood and suffered little damage after the simulated quake. Bayer will market the wallpaper later this year. The building material is expected to cost more than regular wallpaper, but builders and homeowners who live in quake-prone areas may find the product well worth the price – and of course – the saved lives. Is it capable of bring a old building up to seismic code?